This Mon., Feb. 26, 2018, the Delaware County Planning Department will be hosting a public meeting to discuss the master plan for Little Flower Manor, a 33-acre open space site located on Springfield Road in Darby Borough and Upper Darby Township. The meeting is at 7:00 p.m. at the Darby Borough Community Center, 1022 Ridge Avenue, Darby, PA. No registration is required. The site is slated to become the largest County-owned park among eastern Delaware County municipalities and features Woodburne, a stately residence designed by Horace Trumbauer in 1906. 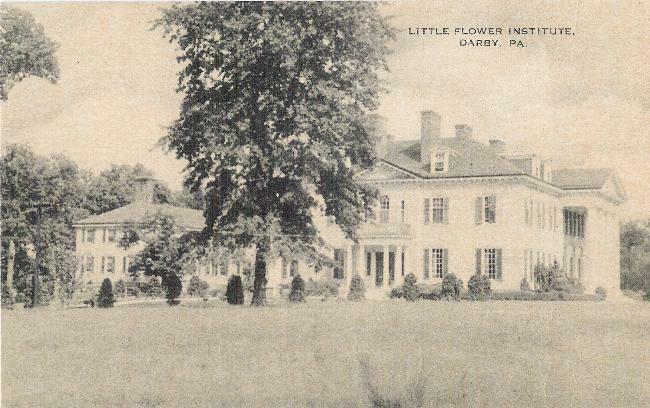 In the 1930s it was home to the Little Flower Institute, a girls orphanage operated by Sisters of the Divine Redeemer. In the 1970s it became a nursing home, Little Flower Manor, closing in 2005. Currently the fate of the historic property remains uncertain. Project overseers invite public comment on desired uses of Woodburne and its adjacent open space. We are working on a guided tour of the exhibit “Real Estate: Dwelling in Contemporary Art” on view at the The Philip & Muriel Berman Museum of Art at Ursinus College in Collegeville, PA, on either Saturday, March 10 or Sunday, March 11 at 12:30 p.m.
We are also hoping to set up a tour of the Speaker’s House less than a mile away in Trappe, PA, following the Berman Museum at about 2:00 p.m. The home of Frederick Muhlenberg, the First and Third Speaker of the United States House of Representatives, is currently being restored to its 1790s appearance. 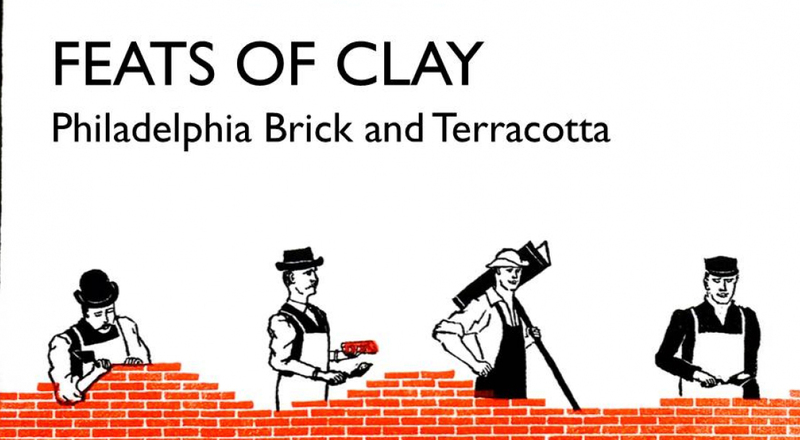 Thursday, Sept. 10 at 6:00 p.m.
John curator’s Frank G. Matero and William Whitaker for a gallery talk and tour of the exhibition, “Feats of Clay: Philadelphia Brick and Terracotta.” This exhibition traces the rise of the brick and terra cotta industry in Philadelphia and its far reaching influences on American architecture and building technology. 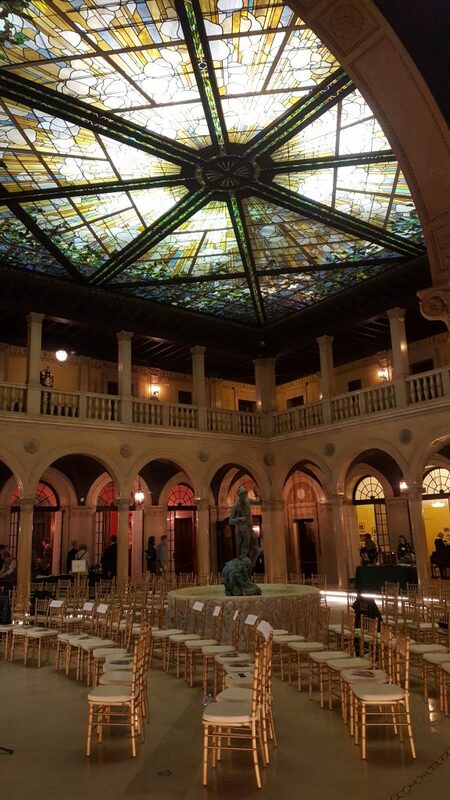 The exhibition also seeks to raise the awareness and appreciation of the region’s wealth of historic brick and terra cotta architecture and long craft tradition, as well as their relevance to contemporary sustainable design. Free and open to Philadelphia Chapter SAH members and their guests. Registration requested at info@philachaptersah.org. 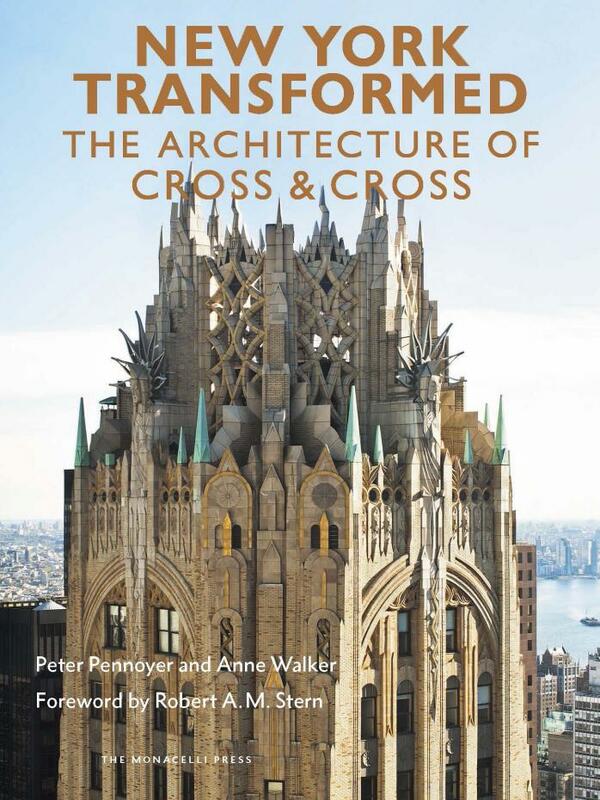 Thursday, June 11, Reception at 5:30 p.m., Talk at 6:30 p.m. 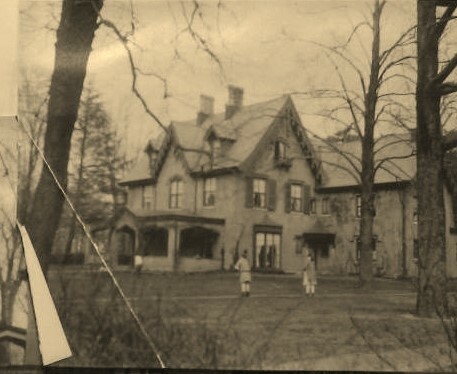 In 1882 James C. Smith of Philadelphia purchased 143 acres of land in Westtown Township, Chester County with an existing granite mansion. 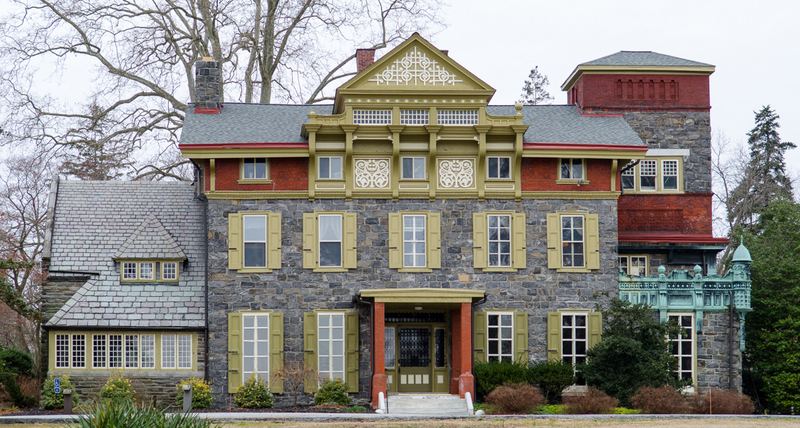 By 1884 the Smiths had enlarged and refurbished the mansion to replace their original summer house and named it “Oakbourne.” The Queen Anne renovations are attributed to West Chester architect T. Roney Williamson (1852-1896). Mr. Smith died in 1893 and willed the property to the Philadelphia Protestant Episcopal City Mission with the stipulation that it be used as a retreat for sick and convalescent white women, 23 years of age or older. 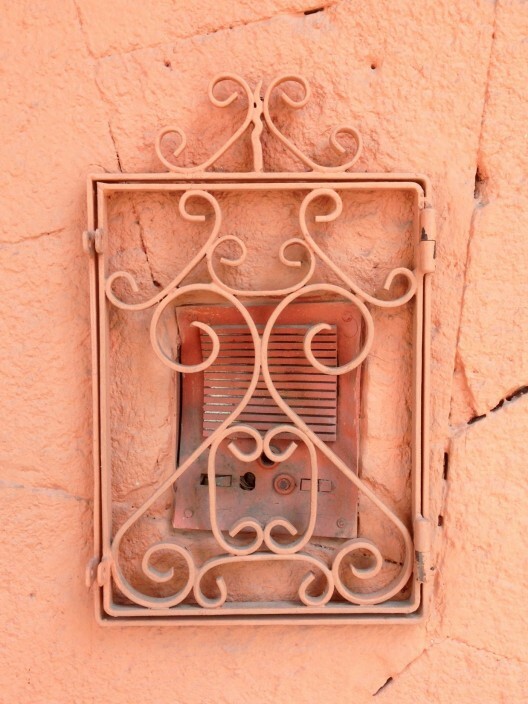 For more than 70 years the James C. Smith Memorial Home was opened to guests. As many as 25 to 30 women convalesced there at any given time. By 1971, however, increasing operational costs forced the home to close its doors. In 1974 Westtown Township purchased the land for use as a township park. Join us for wine and refreshments at 5:30 p.m. to explore the exterior of this amazing house while the sun is out. We’ll gather inside at 6:30 p.m. to hear about Oakbourne’s architect and his other work in the area. $15.00 for all others, payable on site. Thanks to the Westtown Township Historical Commission for hosting this program. There is no public transportation to Oakbourne, but we may be able to arrange a ride or a pick up at the Media or Paoli Regional Rail stations. Please email info@philasah.org if you need a way to get to the program. Winterthur recommends using Mapquest for directions as Google Maps sometimes gives inaccurate directions.